After years of research and on-farm use of cover crops, there’s little doubt of the management benefits received by properly planting and terminating the cover. But there are differing perspectives on the value of cover crops that growers need to consider. 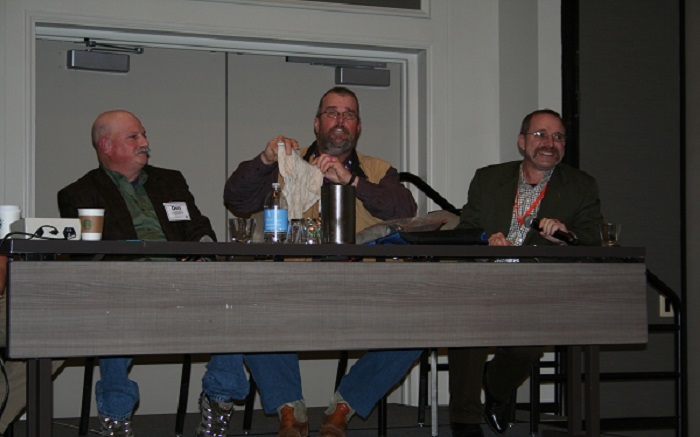 A panel discussion at this year’s Beltwide Cotton Conferences looked at three sides of the cover crop story – soil health, weed management and insect management – as presented by Dr. Bill Robertson, University of Arkansas Extension cotton specialist, Dr. Larry Steckel, University of Tennessee Extension weed specialist, and Dr. Don Cook, Mississippi State University Research Entomologist. Here – in their own words – are their thoughts. “When you look at a healthy soil by volume, about half of that volume should be your mineral component – sand, silt and clay – along with organic matter. The other half of the soil volume should be pore space – space for water, space for air. And, in compaction, we squeeze the pore out of our soil. There’s just not that much room for air and water in our soil. I’ve worked with farmers who try to put out more than ½” with a pivot irrigation system, and it runs off because we can only get so much water in the soil at a time. 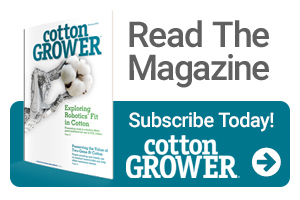 “For cotton to be more sustainable, the two things that will have the greatest impact on shrinking our environmental footprint is to reduce tillage and use a cover crop. When I work with someone to get a cover crop on a field, I can often sell the concept of having residue for weed suppression. But for me, the main reason I plant a cover crop is to improve water infiltration and reduce compaction. “When we look at the microbes in the soil, there’s bacteria, fungi, nematodes and more. There are a ton of nematodes out there and most of them are good. And fungi in the soil help break up cellulose. Dr. Bill Robertson (center) shows the results – or lack thereof – from research to study the breakdown of cotton fibers in a field without cover crops to Dr. Don Cook (left) and Dr. Larry Steckel (right). “I got into cover crops because we started seeing that Roundup was no longer working on our driver weeds. It became very clear that we needed something that we couldn’t pour of a jug if we were going to be sustainable long-term on these weeds. We just don’t have a lot of new herbicides coming. “If you decide to go with a cover crop, then the question becomes what cover crop and when do you burn it down? The first cover crop a lot of growers used was planted to keep sandblasting down so cotton could get a good start. And it does help with that a lot. But the cover crop and the population they were using were good for mitigating sandblasting, but it wasn’t robust enough to give a lot of good weed control. After going through a lot of iterations, we’re now looking at a blend of a grass – either rye or wheat – with a legume. We could get enough biomass out of that consistently to give us good weed control early on, as well as a lot of other benefits. “The other thing is timing of termination. The closer to planting, the better off you are from a weed control standpoint. We have some recent work done looking at allelopathy. For Palmer amaranth, you can get some residual control from that allelopathy – often about 14 days before pigweed starts coming up. But termination has to be close to planting. And there you get to the green bridge, which entomologists don’t like. “While there are benefits to cover crops, nothing in life is free. Entomologists have been accused of being anti-cover crop. We just want growers to be aware that they’re not going to be able to manage this year in and year out like they have when they do burndown in February or March or plant into clean fields. There’s going to be some additional management. 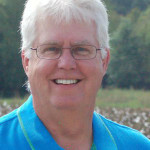 “There hasn’t been as much cover crop work in cotton recently under situations where we’re talking about terminating as close to planting as possible. There have been studies done in Georgia in the past about planting into dead wheat residue, and that has some real benefits on thrips. The adults have trouble finding the cotton seedlings in that dead residue. But we never saw cutworms in cotton until we started planting behind a legume and terminating close to planting. From an insect management standpoint, we recommend that any vegetation – whether it’s something that was planted or just grew naturally – be dead a minimum of three weeks prior to planting. If growers wait to terminate cover crops at planting, they need to be prepared for additional management, whether it’s a pyrethroid at planting for cutworm or the potential for spider mite issues coming off of henbit or vetch that they kill at or after planting.